Water Safety New Zealand are interested in research in relation to targeted communities or groups who have a specific risk profile. Therefore, research on risk should be considered within the context of the specific environment or communities of interest. 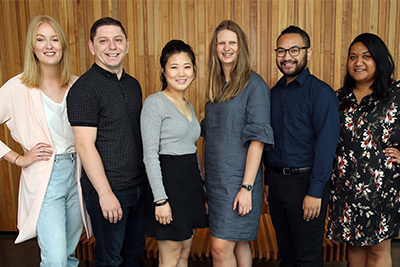 The purpose of the William Georgetti Scholarships is to encourage postgraduate study and research, in New Zealand or overseas, in a field that in the opinion of the Scholarship Board is important to the social, cultural or economic development of New Zealand. The purpose of these scholarships is to provide recognition to current undergraduate and/or postgraduate women students at AUT who have demonstrated support for women students at AUT. The Woolf Fisher First-in-Family AUT Scholarship was established in 2014 by the Woolf Fisher Trust to ‘break the cycle’ and encourage students from families with no history of degree level study and for whom university study is a challenge for family for financial and/or cultural reasons to enable them to participate in university education. AUT University has a strong history of support and encouragement for students for whom university study is a challenge for family, financial and/or cultural reasons. The University's development of the AUT South Campus in Manukau symbolises this commitment. In particular the University is committed to promoting access for students who are the first in their family to attend university. The Woolf Fisher Trust strongly supports this principle, and has partnered with the Auckland University of Technology Foundation to establish the Woolf Fisher First-in-Family AUT Scholarship to 'break the cycle' and encourage students from families with no history of degree level study to participate in university education. Applicants must be the first in their family to study for a degree at a University. Up to three scholarships are offered each year to enable students of outstanding academic ability to undertake their doctoral studies or equivalent at the University of Cambridge.